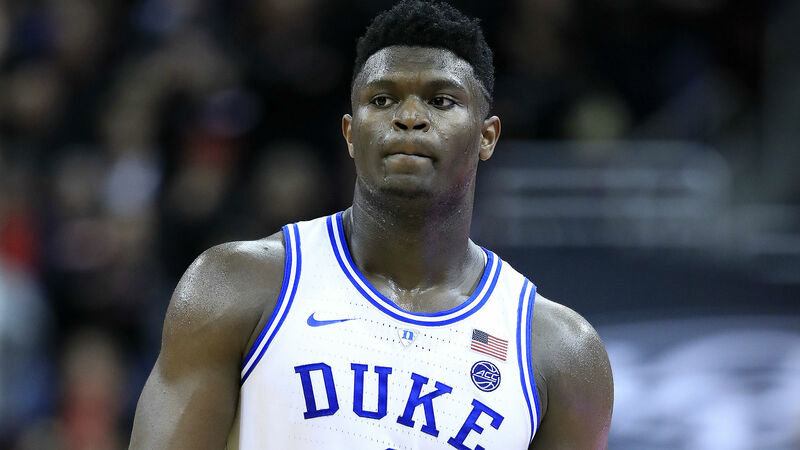 Duke star Zion Williamson suffered a knee injury during his team's clash against North Carolina on Wednesday. The 18-year-old freshman was dribbling towards the basket about 40 seconds into the game when his sneaker ripped. Williamson fell to the floor and grabbed his leg before heading to the Duke bench. He then went to the locker room. Duke later announced Williamson would not return. He has been one of the best players in college basketball this season and is expected to be selected with the number one pick in the NBA Draft. He entered the matchup averaging 22.4 points and 9.2 rebounds while shooting 68.3 per cent from the field.